The digital service revolution is well underway. 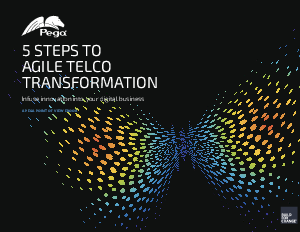 For communications service providers (CSPs), it means going beyond traditional voice and data and upgrading their entire digital communications infrastructure. Research shows enterprise-class organizations are allocating heavy dollars towards communications solutions and prefer a single provider for digital services. This is a massive opportunity for CSPs to expand their services, generate more revenue, grow profit and increase market share. However, the majority of enterprises reported not receiving a consistently excellent experience with their most recent service contract. As a result, many switch to new providers. CSPs are losing credibility and the loyalty of their customers because of legacy and traditional systems that constrain their ability to act quickly. Enterprises are looking for CSPs who understand their complex business and can offer a full portfolio of digital services with quality and creativity to meet their needs. Download this E-book and find out how CSPs can improve their credibility, retain their customer base and attract new business.